After start there is some info about google play movies & tv is not working, so you need to update all google stuff via play store. This is original release of Z90a40_S118_1505272008_ROW for z90-7, i've only added root, no other changes. After start you should run SuperSU application, wich will prompt you that binaries needs to be updated, it works as update in "normal" way (no custom recovery available yet). 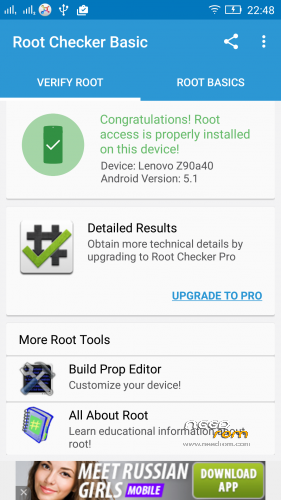 Enjoy rooted Vibe Shot with ROW firmware! Alert! It you need a 32-bit system to get this rom to work. On my Win 64-bit system I got an error. But now it works! SuperSU does it job. Thank you great rom! Edit: Sadly I had to find out that the rom doesn't support the german lenguage pack. 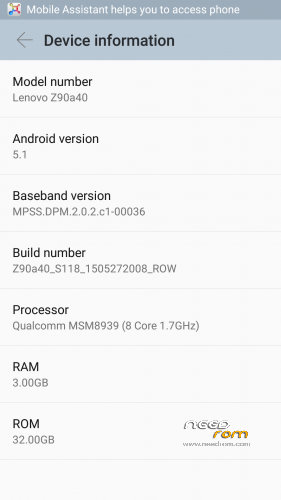 Does notification led work in this Rom? Hi, when trying to flash with MiFlash I have a message in red that the file flash_all_except_storage.bat is missing… 32-bit system or 64-bit system all versions!